Station Blackout broadens awareness of Fukushima, revealing how a devastating wave left remnants of hope in its wake. 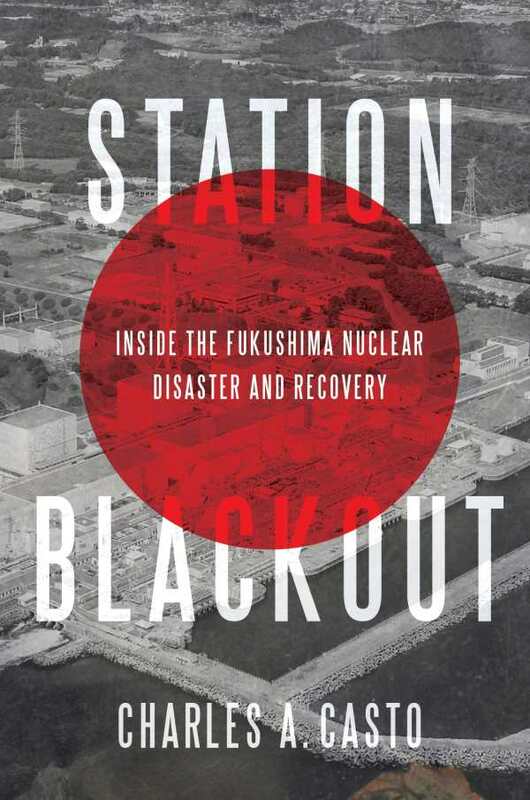 A historical account that’s framed from a personal perspective, Charles A. Casto’s Station Blackout draws lessons from the extreme crisis leadership shown during the March 11, 2011 Tōhoku earthquake and tsunami in Japan, which lead to meltdowns at Fukushima Daiichi Nuclear Power Plant. The text covers the key figures who helped to mitigate the accident, the traits that allowed them to do so, and Casto’s role as a nuclear safety expert. Navigating politics and technical descriptions with ease, the result is an honest account of a critical period. Casto revisits what happened from a focused standpoint. As head of the US team that President Obama tasked with protecting Americans in Japan and with aiding the Japanese government, he conveys his journey with all of the adaptability and delicacy the role demanded. Establishing Casto’s career experience, the text is clear in defining its aims: to mine the past for business lessons like gaining trust amid fear, practicing diplomacy, and managing ever-shifting, sometimes unreliable data. It’s an uncommon approach, but is taken with a respectful tone that doesn’t diminish the situation’s gravity. Salient chapters focus on the reactors and their employees; miscommunications; coordination between the Tokyo Electric Power Company, the Japanese Emergency Response Center, the US Nuclear Regulatory Commission, and others; and cultural nuances that shaped experts’ responses. Casto enlivens behind-the-scenes heroics by the power plant’s operators, who are presented as ordinary people with extraordinary presences of mind. Scenes that feature Casto illustrate tact in liaising with multiple groups. Pride in specific achievements is communicated with lightness. When errors in judgment are remarked on, including a call for evacuation that resulted in panic, related critiques are fair and framed with the same measured reasoning that lends the book its authority. Neither the Japanese nor the Americans are cast in easy victim or savior roles. The sensitive nature of entering another first-world country under such overwhelming circumstances is highlighted in numerous passages. Amid the dramatic story of coping with radioactive plumes, planning for the future, and gleaning insights to prevent similar nuclear plant catastrophes, the human element lingers. Whether the work depicts a group apology for the release of radioactive water into the ocean, students who saved their own lives, or damaged rice fields, the impact of March 11th is difficult to overstate. Rather than despairing, the book is resilient. Its writing is contained when it needs to be, and emotional, too. A portrait of making sense of disorder and joining forces with others, Station Blackout broadens awareness of Fukushima, revealing how a devastating wave left remnants of hope in its wake.